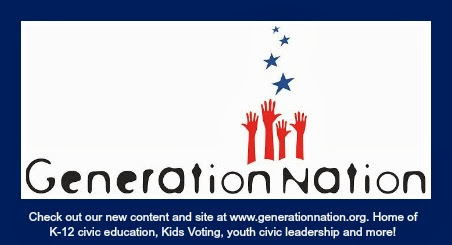 GenNation Learning Center: Educators, we're here for you! Educators, we're here for you! Kids Voting Mecklenburg is Charlotte's organization dedicated to K-12 civic education. Our programs and resources focus on themes about government, civic participation and leadership to help students in school, build civic literacy and develop young people as effective citizens and leaders. We combine classroom education and community learning opportunities to maximize comprehension and impact. It’s the best way for students to develop civic literacy and build leadership skills. Flexible and easy to use. Aligned to NC Standard Course of Study. Civic Education partners include Kids Voting USA, Civic Action Project, NC Civic Education Consortium, iCivics, Newspapers in Education and others. Guides aligning civic education resources to local government resources, leaders, issues. Local curriculum and resources about local/state/national government, leaders, civic participation, current events, etc.